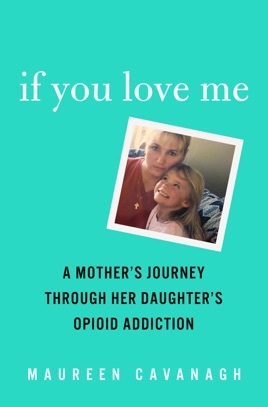 Debut author Cavanagh paints a vivid but depressing portrait of her attempts to deal with her daughter Katie's heroin addiction in a small town outside of Boston. Katie's addiction leads her to steal, prostitute herself, and run away from rehab but it's Cavanagh's story that takes center stage. As Katie repeats a rotation of shooting up, detoxing, rehabbing, and relapsing (she attends over 40 treatment programs and survives 13 overdoses), Cavanagh cycles through anxiety, relief, hopefulness, and despair. She cruises drug neighborhoods to find Katie, attends therapy sessions, and takes Zoloft, and even threatens to beat her daughter's drug dealer to death with a baseball bat. Because she can't save Katie, she tries to save others, developing a peer support network for the families of drug users called Magnolia New Beginnings, which places addicts in treatment centers and brings together mothers who share similar experiences. Though Cavanagh aims to reduce stigma by framing addiction as an involuntary medical disease, she also argues that the key to sobriety is "to want it." Katie is sober by the book's end, but there's no guarantee that she'll stay this way, leading to Cavanagh's final epiphany, that each day "is a new beginning," echoing Alcoholics Anonymous's one-day-at-a-time slogan. Some readers may find Cavanagh's story comforting in its familiarity; others may find it all too predictable.